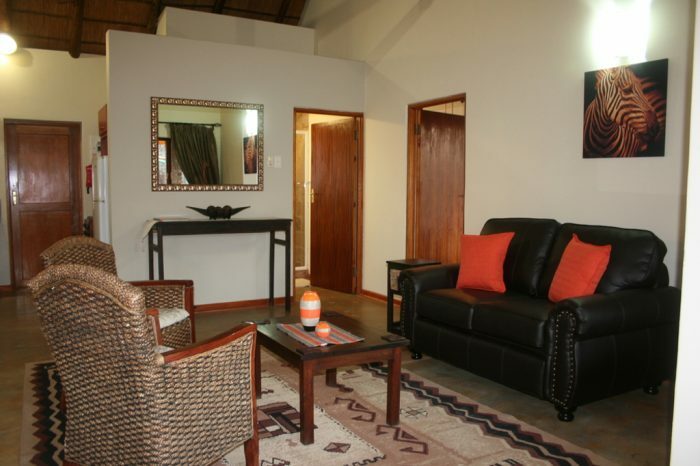 Self-catering lodge with 7 rooms. The lodge can sleep 16 in total and is 3 star graded. 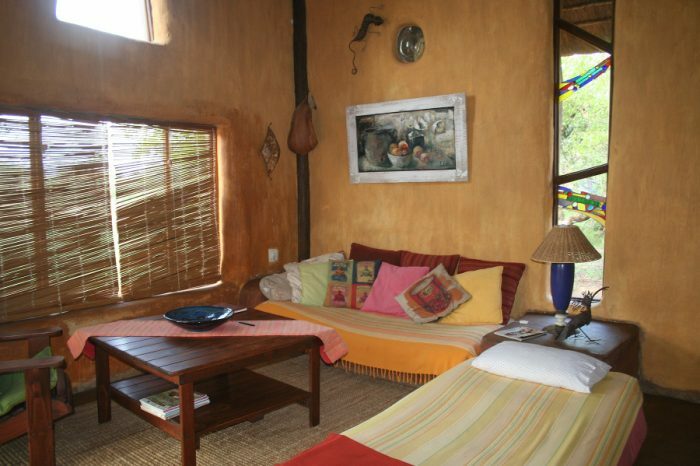 7 Rooms with en-suite bathrooms and can accommodate 16 people. Each room is equipped with a fridge, air conditioner and a safe. Rooms 1-3 have 2 single beds with showers only. Room 4 and 7 offer a 1 double bed and 1 single bed with showers only. 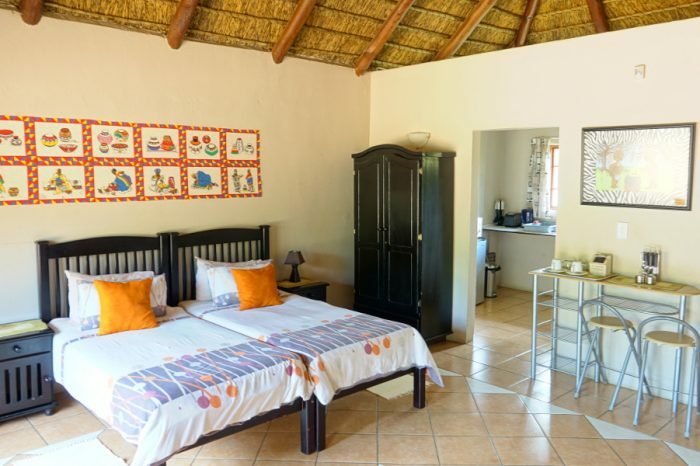 We also have a Rondavel which offers a Double bed en-suite bathroom (shower only) and a small kitchenette. In the Main house you will find our fully equipped communal kitchen and lounge which opens up onto a veranda. The lounge is equipped with a TV and DSTV. The Lapa is equipped with a gas braai.